The legendary blade of evil’s bane. Here’s how to get it. 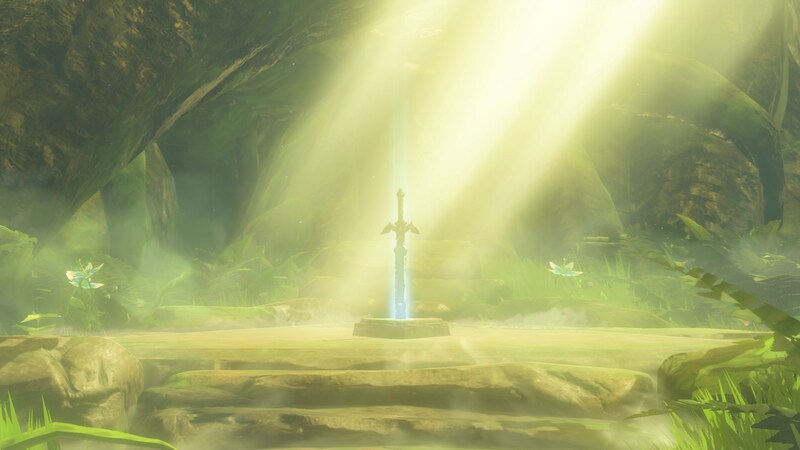 The Master Sword is one of the most iconic pieces of Zelda imagery, so much so that the last game in the series, Skyward Sword, was essentially about nothing else. Breath of the Wild does things a little differently – in this Zelda entry, the Master Sword is much less important. Obtaining the Master Sword in The Legend of Zelda: Breath of the Wild is no simple story progression task. Things are very different in this game, in fact – the sword of legend is actually entirely optional, and it’s easy to get very late into the game without knowing anything about it, though a lot of NPCs talk about it in passing. The Master Sword is a great weapon, however. Optional though it might be, it has a solid damage stat, never breaks (though it does need to recharge on occasion) and does double damage against any enemies directly associated with Ganon, including the game’s major bosses. It’s hard to argue with that. Paired with the Hylian Shield, trusty steed Epona and some Amiibo Tunics it also makes for a decent ‘classic Link’ set-up. The key with the Master Sword is that you can actually run right to it from the moment you start the game, as with much in Breath of the Wild. There’s a catch, however: you need to be powerful enough for the sword to deem you worthy of being its master, and if you’re not, well… the sword kills you. Which seems a little harsh for a sword of light and justice, but we’ll go with it. Anyway! First thing’s first: where to find the sword. The location you want is the Lost Woods, as pictured above. If you’ve played A Link to the Past (or indeed Twilight Princess) this location might not come as much of a surprise to you. 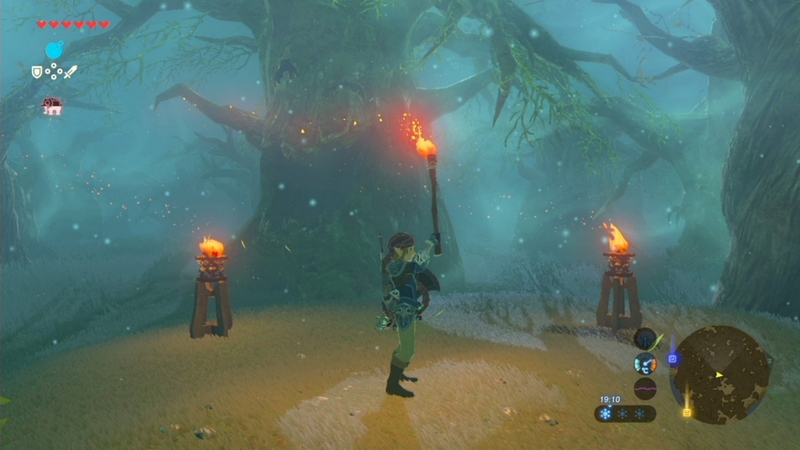 The Lost Woods are found directly north of Hyrule Castle, to the left of Death Mountain. The nearest tower is the Woodland Tower. To the East of the Woodland Tower there’s a path; follow this right the way up and around until you enter the Lost Woods. When you do, you’ll find lit torches laid out. It’s foggy and creepy. The path for now is simple: follow the lit torches. It’s fairly dark, so it’s not a bad idea to bring and light a torch of your own, or a wooden weapon that can double as one. Pretty soon you’re going to come across the image above. Two torches and a creepy face. From here on out you’ve no more torches, though this is a checkpoint. Zelda fans will know the Lost Woods well – venture too far off the stated path and you’ll be returned to this point. In order to get through the Lost Woods what you have to do is simple, but not necessarily easy: pick up a torch and look at the way the wind is blowing. You’ll be able to see the embers of the torch being blown about, and so long as you walk in the direction of the wind the woods won’t consume you and send you back to the start. When there’s a cliff face rising to your left, you want to turn left and follow it around as it curves. But wait! Before you do anything, consider heading to the right from the Deku Tree. Just around the corner is the Keo Ruug Shrine. 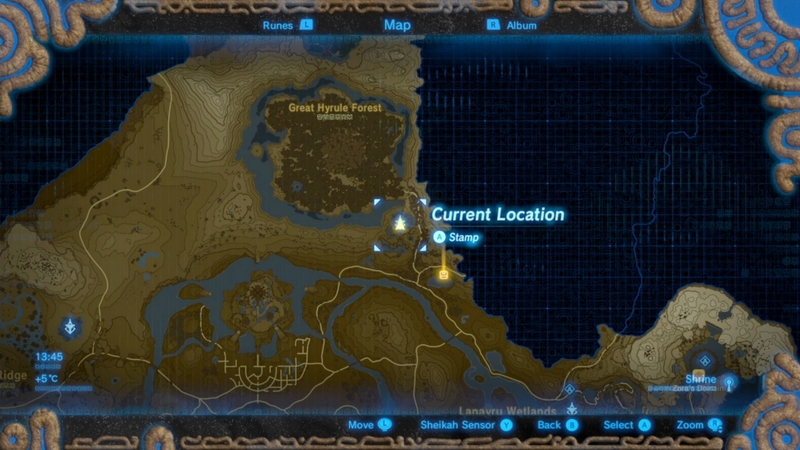 Even if you don’t plan to do it, go activate this shrine – it then means you won’t have to travel through the Lost Woods again when you want to come back! If you decide to do this shrine, it’s a tricky one… it involves examining the constellations on the wall. Ah, anyway – the sword won’t let you pull it. The sword requires 13 hearts to be pulled. To be clear, each and every one of those have to be real hearts, bonuses from cooking or other buffs don’t count. When you return with the right number of hearts, you’ll be treated to the sword – and of course an iconic cutscene and the iconic music. How good is the Master Sword? Does it have infinite durability? The Master Sword is unbreakable, and if you have full health and ‘throw’ it, it fires a beam classic Zelda style. It glows blue whenever it’s in the presence of an evil being it’s more powerful against, such as a dungeon boss or Ganon himself. In these circumstances it doubles its power stat from 30 to 60. Inside Hyrule Castle, home to some strong end-game bosses, it will consistently glow blue regardless of where you are. If overused the sword will become unusable and need recharging, however, so you should use it sparingly and save it for those big encounters with demonic beasts. It will never break, but in this regard it sadly doesn’t have infinite durability. It’s still an amazing sword, however.